Yesterday evening investors on the Collateral p2p lending marketplace were informed via email by a letter by Gordon Craig that he was appointed administrator for Collateral (UK) Ltd, the company running the marketplace. The company is continuing to trade under his supervision, but will not be facilitating any new loans and the secondary market is closed at the moment. Reason for the company going into administration is given as ‘The Company was operating in the belief that it was authorised and regulated by the Financial Conduct Authority under interim permission. It has transpired that this is not the case and consequently the Company has ceased lending‘. As P2P-Banking has learned, the individual loans are bankruptcy remote, with security held by a separate security trustee – Collateral Security Trustee Ltd. Collateral has lent about 17 million GBP since the start, most loans were secured by property. So that are the positive points. It remains unclear to me how Collateral could have misjudged the regulatory status? The interim permission seems to have lapsed on January 29th. Again it is unclear whether it was actively revoked by the FCA. Investors analyzed yesterday that Collateral had quitely removed references to FCA authorisation (e.g. from email footer) after January 30th. Worse yet the company seems to have changed T&C materially and investors complain they were not notified about any change of T&Cs. There is also the question why it was allowed to continue to operate from January 29th to February 28th, if it did not have the necessary regulatory approval (anymore). And the lack of communication (prior to the letter of the administrator which is comprehensive) is a disaster (see my previous article). Putting up a server maintenance note for two days, when you are going into administration is not the right way to do it in my opinion. Several other UK platforms have emailed investors and informed them about procedures in place to reassure them that they have taken all the necessary precautions to be prepared in case of a situation like this. To sum it up, while it is very unfortunate that a platform goes into adminstration with a chance that eventually it will go out of business, it looks like investors into loans will get off fairly lightly. According to the FT the FCA commented it was ‘aware of the issue and working with the firm‘. The role of the FCA in this happening leaves some questions open for debate at the moment. I’m delighted to announce that we recently gained full authorisation from the Financial Conduct Authority in the UK. This approval is the culmination of a rigorous 2-year application process and a lot of hard work. In the absence of any regulatory framework in Ireland, we originally began this process as a way to demonstrate our commitment to operating Linked Finance in line with best practice from the much more developed UK market. This UK approval also opens several exciting avenues to us in terms of our plans for future expansion. It gives us the opportunity to attract lenders form the UK to support Irish SMEs. It would also allow us to start supporting SMEs north of the border, as well as paving the way for a full UK roll-out. The P2P industry in the UK is the largest in the world on a per capita basis and platforms there are originating more than €1 billion in lending each quarter. It would be a logical next step in our evolution. That said, our primary focus remains on Ireland and helping to grow the sector here as market leaders. This authorisation in the UK won’t have any major impact on how you use Linked Finance but you may see some slight changes and modifications on the site, as we look to implement some of the various requirements, such as warnings and disclaimers, that would be required when operating in the UK. The fact that we have gained full authorisation from the FCA should simply serve to underline that Linked Finance has developed the type of management processes and controls that are in line with industry best practice. The timing couldn’t be better too. This announcement comes as the Irish government have launched a public consultation in relation to regulating the sector here. It’s a move that we wholeheartedly welcome. We believe that all platforms who want to operate in Ireland should be required to operate to the same high standards as Linked Finance. Obviously, this approval from the FCA demonstrates that we are well ahead of the curve in the Irish market and we are encouraged that the Department of Finance is now considering a similar set of rules here. We recognise that the development of P2P lending in the UK owes a lot to the introduction of government initiatives that promote the industry, including tax-free Innovative Finance ISAs and direct government lending to SMEs, via the British Business Bank, on platforms such as Funding Circle and RateSetter. We would love to see the same type of support here and we will be using the current public consultation as an opportunity to promote similar initiatives in Ireland. For our Irish lenders, this approval from the FCA in the UK should serve as further evidence of our commitment to developing a strong and stable platform that will continue to deliver healthy returns while providing much need credit to great local businesses. Moneything announced today that have been fully authorised by the Financial Conduct Authority (FCA). Moneything see this as a significant milestone for our business and the result of just over 18 months’ work that involved the scrutiny of every aspect of our business. Many platforms in the P2P industry are working hard to gain their full permissions and we are one of the first few platforms to be granted full authorisation, ahead of some of the largest P2P companies. This will help to give our lenders and borrowers confidence that we meet high standards in the way we operate, based on the regulations set by the FCA. We have had some extraordinary assistance along this journey from our compliance consultants and our legal advisors who have helped us to navigate the complex regulatory landscape. We would like to thank them and the MoneyThing team who have all contributed to our authorisation. There will be a few changes as a result of our authorisation. Significantly, we are no longer able to pre-fund loans and we will be introducing new lender terms for new loans. A full update on the changes and how they will affect lenders will be provided shortly. Now we are authorised we can look towards launching an IFISA offering to lenders. This will be subject to HMRC approval and we will release further information in the coming months. P2P Lending marketplace Rebuilding Society just announced that it has received full FCA authorisation. Rebuilding Society has been awarded full authorisation from the Financial Conduct Authority in recognition of our compliance with sector-specific regulations. We are very excited to share news of this major achievement and important milestone with our community. Authorisation means that we meet the rigorous standards set by the FCA and that we can soon start to offer the Innovative Finance ISA. Although we have been operating under FCA rules on Interim Permission since April 2014, being granted full authorisation helps us to continue building on the important relationships of trust we have with all our clients. We are proud to have achieved this milestone ahead of many other platforms, which we believe is testament to our small but dynamic team, systems, processes and controls. It has been a long journey, consuming considerable energy and investment, since we applied for full authorisation in November 2014. We have continued to grow as a business and improve on our core processes throughout. The regulatory landscape is continuously changing, and we will make sure we stay abreast of developments that arise from our post-implementation review. We are committed to delivering a top-quality service to all our customers, to assist investors by providing multiple investment options and to assist our borrowers in finding business finance that is more than just a financial transaction. 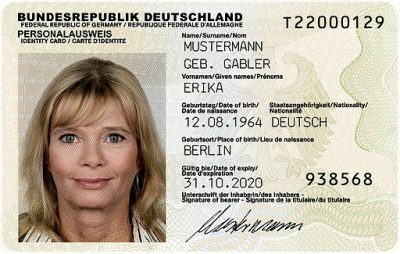 We are now taking pre-registrations for the IF ISA and will confirm once we can on-board new accounts. Please look out for further updates; we know that many of you are keen to benefit from frequent, compounded returns. mozzeno is a Belgian fintech founded in December 2015. We have just launched the first digital platform to enable private individuals to participate indirectly in the funding of loans to other private individuals. Loans are granted by mozzeno, acting as a regulated lender. mozzeno then finances or refinances these loans thanks to the issuance of Notes (financial instruments). Investors can expect higher returns compared to deposits or saving accounts in Belgium (currently close to 0%). mozzeno performs a strict selection of borrowers and eases the diversification of investor’s portfolios. Investors can benefit from a ‘PROTECT guarantee’, covering between 60% and 100% of the loan outstanding amount and up to 3 unpaid instalments, in case of default. Investors can choose between manual or automated (re-)investments, with very granular selection criteria to match their risk appetite and investment preferences. Borrowers can benefit from competitive market rates, proposed dynamically based on their assessed risk profile. This cost of credit can also be further reduced, thanks to a specific incentive we put in place. Borrowers repaying systematically on time over the loan period are getting a part of the origination fee back on their bank account at the end of the loan term. Interests paid by the borrowers are benefitting to other people like them, not to banks or other financial institutions. An increasing number of people are sensitive to these sharing economy principles or simply open or looking to financial solutions outside of the traditional banking system. The loan application process can be completed fully online and digital. Even the loan agreement can be signed digitally thanks to eID. If the borrower chooses the proposed digital options, the whole process can be done without any paper on any side (borrower and mozzeno). Investors are building their portfolio of Notes themselves, picking up underlying loans manually or thanks to automated investment profiles. The selection can be made based on criteria like the loan purpose, the risk class, the maturity, or more advanced criteria like net income, housing status, professional status… Hence, the return an investor can expect really depends on the type of investment strategy he will follow. As an average we target to provide 3% before tax, the maximum expected return is about 5,79%. Absolutely, we started the development of the platform internally in November 2015, in parallel of the regulatory track. From the beginning, the ambition has been to develop a highly modular, scalable and multi-lingual platform that can be leveraged for other sharing economy use cases, under our own brand or through white-labelling. mozzeno services, mother company of mozzeno, develops such a B2B business model, and can provide a range of existing modules (eKYC, digital boarding, transaction orchestration, scoring…) to other financial players, as well as co-develop complementary modules with them. What credit rating / credit history data is available on Belgian consumers and how reliable is it? There is a very high concern for the risk of over-indebtedness and for retail consumer protection in Belgium compared to other EU countries. There is no developed pay day loan or subprime business, as the interest rates and maturity are capped and the lending activity restricted to regulated lenders. These regulated lenders have the obligation to register all granted loans (mortgages, personal loans, credit cards, credit lines, overdrafts…) to the Central Individual Credit Register managed by the National Bank. This database also includes information on defaults. As a regulated lender, mozzeno is contributing to this CICR and has access to this market-wide credit history database (positive and negative sides). As a consequence of this market specific, there is no other established credit bureau. With regards to credit rating, we have developed our own scorecard with a specialised company, we continue to further develop it, and we also benefit from the well trained scoring of our credit insurer. How is the company financed? What background does your team have? The company has been initially founded and funded by my partner, Xavier Laoureux, and me. Xavier has a master in Law, has worked more than 10 years in digital marketing strategy for agencies like TBWA. I have been working 15 years in the online payment business, namely for Ogone and then for Ingenico ePayments. Tom Olinger, former CFO of a mid-size Belgian bank, has joined the management team in April 2016. Some fintech business angels and W.IN.G (a Belgian seed fund) have taken part to a seed round in Q2 2016. A further funding round should take place in the course of 2017. Can you please describe the p2p lending regulation in Belgium? Well, actually p2p lending as such is forbidden by law in Belgium. On one hand, the European prospectus law has been adapted locally very strictly, preventing individuals to raise funds publicly, even through an intermediary platform. This means that a borrower candidate cannot invite other people publicly to lend him money. On the other hand, one needs to be a regulated lender to grant loans and to get access to the Central Individual Credit Register. There is a new regulation as from November 2015, this regulated lender status now being supervised by FSMA. Our regulatory model is then two-sided. We were the first Belgian regulated lender approved by the FSMA as per the new regulation, and this allows us to grant loans for Belgian residents. We also published a base prospectus, also approved by the regulator, allowing us to issue Notes on a continuous basis. These Notes are the financial instruments subscribed by the investors, similar to bonds, and mimicking the repayment behaviour of the underlying loan. 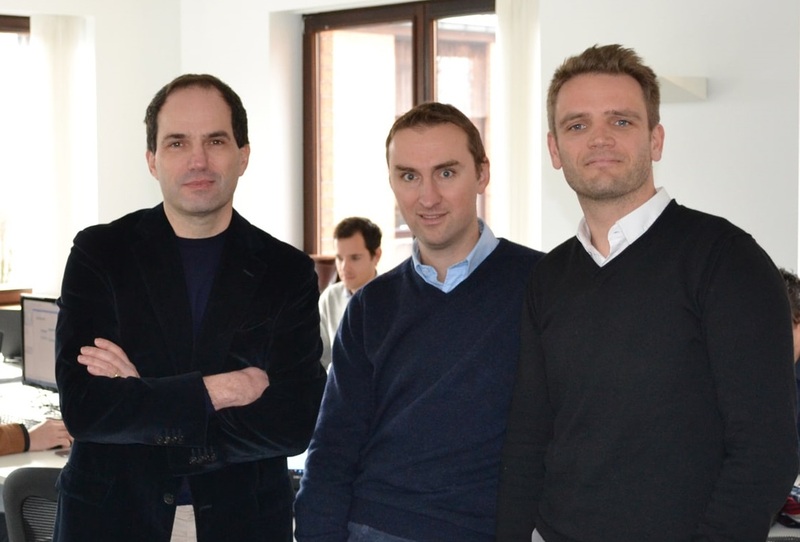 mozzeno is the first p2p lending service in Belgium. Compared to other European countries Belgium had to wait long for a p2p lending marketplace. Is regulation the cause for this, or are there other reasons? The complexity of Belgian regulation is obviously the main reason. This so called banking monopoly made a ‘simple’ direct model for peer2peer lending completely impossible in Belgium and a few previous attempts have failed for that main reason. Our indirect model copes with this complex regulation and the operational model of the platform has been thought to be as close as possible to p2p lending from a user experience perspective. Having said that, Belgium also remains typically a complex market due to the different languages and cultures as well the limited size. What is the reaction / the viewpoint of banks, if you talk to them about p2p lending? We have discussed with the main Belgian banks over the past 2 years, and the initial reaction was scepticism due to the complex regulation and the required regulator green light still ahead of us at that time. Now that we have the required regulatory agreements and that we are live, we are seeing diverse reactions, either enthusiastic or defensive. This is of course too early to draw any conclusion on this. We are, on our side, convinced that both models are complementary, and open to share views and discuss with banks and other lenders. We have applied to the relevant industry associations to foster such exchanges. What was the greatest challenge so far in the course of launching mozzeno? Certainly the complexity of Belgian regulation, with regards to p2p lending, and the time needed to define and set-up the required structure, with first discussions with the regulator as from March 2015. While we understand and agree with each of the requirements, questions and challenges we have faced so far, it is fair to say that this is not always compliant with a startup agenda. For borrowers, we are planning to use mainly digital channels, with the best mix possible between natural, earned and paid traffic sources. For investors, beside the same digital channels, we plan to organise roadshows and meet investors physically to build trust in the platform. We will respectively orchestrate the marketing effort based on the demand/supply balance. On both sides we also intend to set-up member-get-member programs. Is mozzeno open to international investors? Do you plan an international expansion? As most businesses starting from Belgium, an international expansion is integrated in the plan from day 1, due to the limited size of the domestic market. On the investor side, our main commercial focus at launch is on Belgian retail investors, but we can technically accept retail and professional investors from EU today. Our prospectus can also benefit from an EU passport, for countries in which we will target a real commercial focus on retail investors. On the lending side, regulations are not harmonized at EU level, so our internationalisation strategy will be a mix of partnerships with assets originators and own expansion, based on opportunities. Where do you see mozzeno in 3 years? We see mozzeno as becoming a trusted and representative player in Belgium, having a footprint in some other EU markets, either through partnerships or under our own brand. With mozzeno services, white-labelling our technology has also a great place in our plans (innovative scoring systems, platforms for the sharing economy, seamless digital boarding processes…), with expectations to partner with the most ambitious fintech, insurtech or traditional players, helping them in their launch or digitalisation roadmaps. P2P-Banking.com thanks Frédéric Dujeux for the interview. In August the FCA posted a call for input preceeding a planned review of the current regulation of p2p lending and crowdfunding for equity. Today the FCA publishes interim feedback. The feedback statement provides a first response to the feedback received and sets out next steps. The FCA plans to consult on additional rules in a number of areas. These include more prescriptive requirements on the content and timing of disclosures by both loan-based and investment-based crowdfunding platforms. Scandinavia’s equity crowdfunding platform, Fundedbyme, today received recognition as one of six operators for Peer-to-Peer crowdfunding by the Malaysian Securities Commission in the Asian region. This announcement positions Fundedbyme as the only European operator in the Asian region. 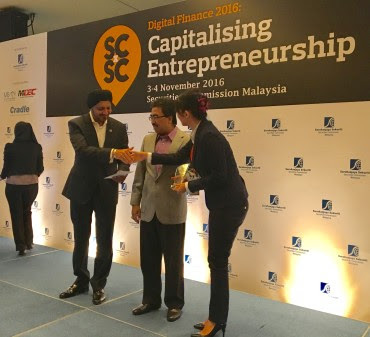 The award was awarded to Fundedbyme Malaysia at the third annual SCxSC Digital Finance hosted by the Securities Commission Malaysia. Malaysian Minister of Finance, Najib Razak and SC chairman Ranjit Ajit Singh handed over the award to Fundedbyme Malaysia’s COO, Angelld Quah, and CEO Daniel Geottfert. Halal Speed Dating, we saw that 40% of investors came from Europe, which is very exciting for both Asian and European entrepreneurs,” Daboczy continues. The latest equity crowdfunding campaign from Malaysia currently on the platform, iTalent, has registered interest to join from investors in 73 different countries.